The Memorial Candle Program has been designed to help offset the costs associated with the hosting this Tribute Website in perpetuity. Through the lighting of a memorial candle, your thoughtful gesture will be recorded in the Book of Memories and the proceeds will go directly towards helping ensure that the family and friends of Frank Swindle can continue to memorialize, re-visit, interact with each other and enhance this tribute for future generations. 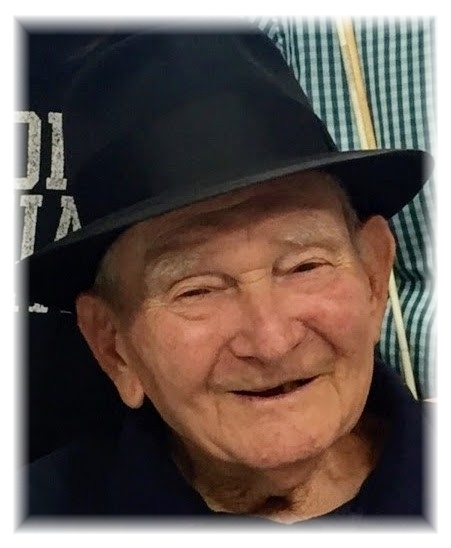 Obituary for Frank Swindle Jr.
Frank Swindle was born in Sherman, TX, on November 30, 1926, and passed into Glory to be with the Lord on February 5, 2018, at age 91. His parents were B.F. Swindle and Maggie Vawter Swindle. At age six, he moved to Oklahoma City, where he lived the remainder of his life. As a young teenager, he enjoyed farm work and learned how to drive a tractor when he was about 14. His first job was at Shannon Feed Company. When he was 16, he began working for Western Union delivering telegrams on his bicycle during the early WWII years. He married his one and only love, the beautiful Mary Louise Kemp, on September 29, 1944. Only five short months later, at age 18, in February 1945, he joined the U.S. Army, where he served in Latay, Quezon Province, Philippines in WWII. He was discharged from the Army in November 1946 and then worked at Borden’s Milk. In February 1951 he enlisted again, this time in the U.S. Air Force, where he served during the Korean War. Frank then went on to a long and successful career in the trucking business, first as a driver for Pioneer Freight and finally as a driver for Lee Way Motor Freight, where he worked for 30 years and retired with a safe-driving record of over one million miles. Frank and Mary had three children — Linda, Walter, and Karen. Frank and Mary were married for over 70 years and were members of Penn South Church of Christ. They loved their home, where they lived for over 60 years, and they had many long-time neighborhood friends. Their home was the family gathering place and was always warm and welcoming to friends and extended family who visited them. In their retirement years, they enjoyed traveling throughout the United States on many trips, and Frank also founded the Lee Way Motor Freight Museum and directed it for seven years. In May 2014, Frank moved into the Norman Veterans Center. During his years there, Frank began the last segment of his life’s journey, a remarkable time filled with new friendships and purpose. He befriended many other residents and their families and continually showed his thanks to all the staff members who helped him and the other veterans. Frank has joined his wife Mary and his daughter Karen, and many dearly loved family members and friends who have gone to Glory before him. He is survived by his daughter Linda Higgs; his son Walter Swindle and wife Janet; his sister Nina Fretz; four grandchildren and spouses; 10 great-grandchildren; and many nieces and nephews. He will be missed immeasurably, but we will feel his strong and loving presence with us until we are reunited with him in Heaven. To send flowers to the family of Frank Swindle Jr., please visit our Heartfelt Sympathies Store.